Sustainable regeneration for Melbourne’s middle suburbs. This project investigated the strategic potential of government-owned housing land with ageing building stock that is in need of redevelopment. 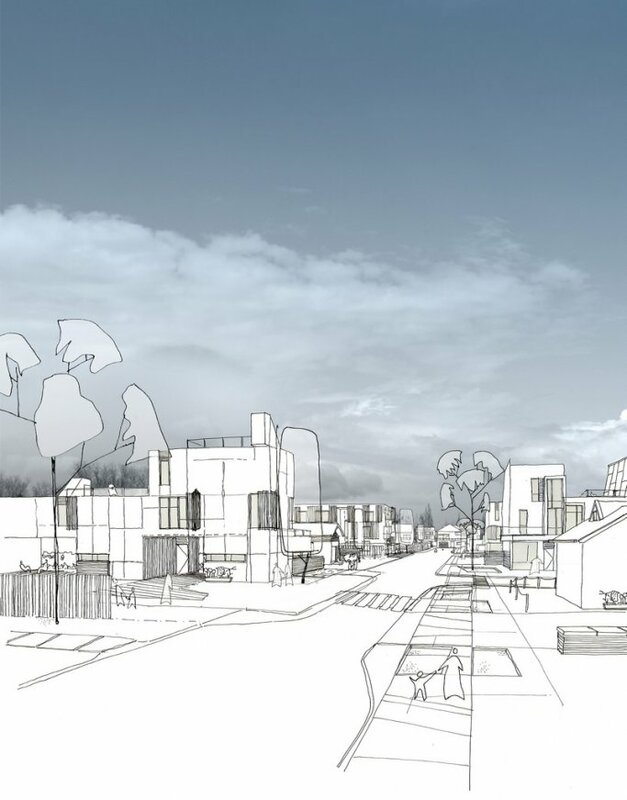 The research addressed a range of questions around the extent to which innovative dwelling and urban design can better meet social housing needs and play a role in the broader renewal of suburbs in our major cities. 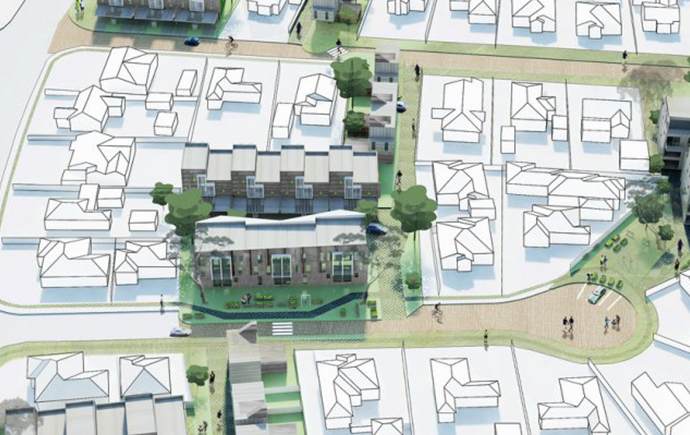 Investigations revealed a range of replicable conditions and strategies for enhancing the redevelopment of dispersed public housing land in middle suburban locations. The project highlights design as an effective vehicle for engaging the community with urban renewal strategies in their neighbourhoods, soliciting local knowledge and insightful, positive dialogue around the potentiality of well-designed, transformative and sustainable urban change. 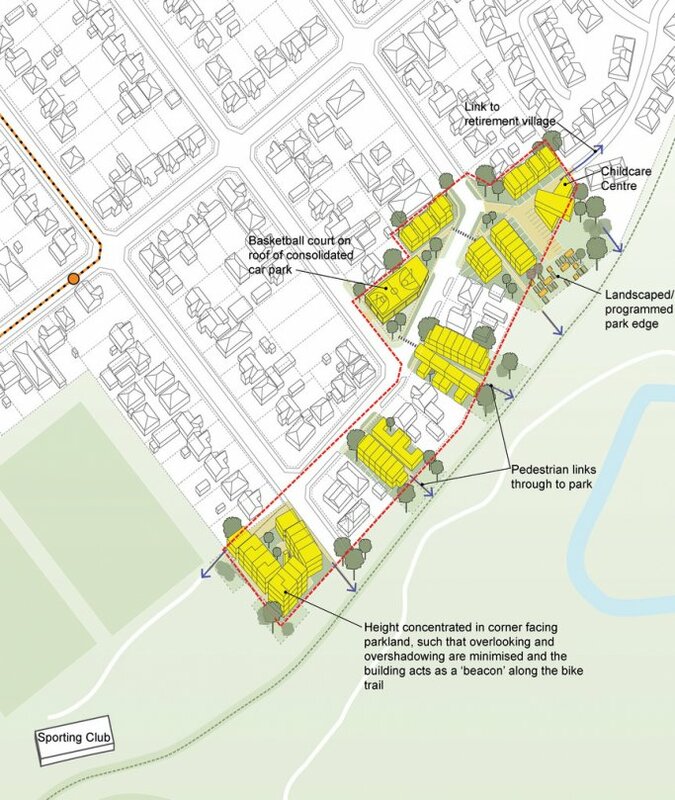 Precinct-scaled design strategies have the potential to cohere the interests of the local community, local government authorities and community housing associations. The Australian Housing and Urban Research Institute, data supplied by the Department of Human Services. Street view of proposed infill redevelopment. 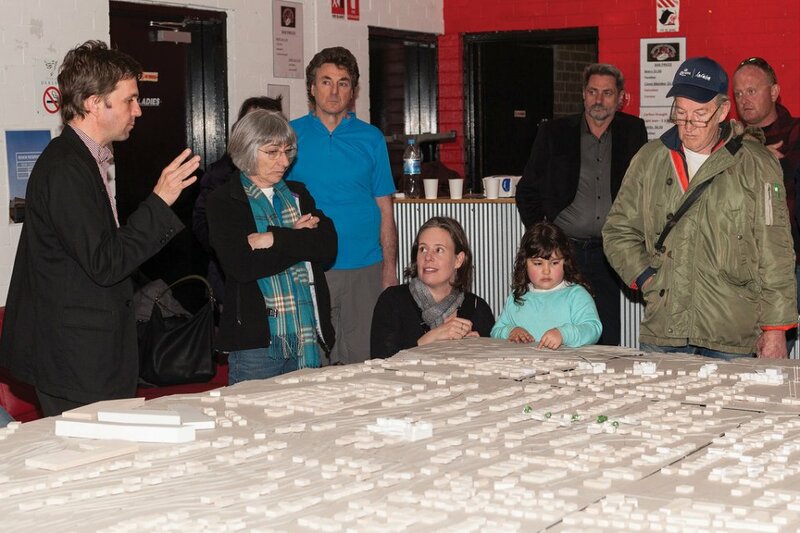 Community engagement involved ‘on-site’ studios and culminated in community workshops where a range of proposals were presented to local residents. Image by Alice Hutchison Photography. 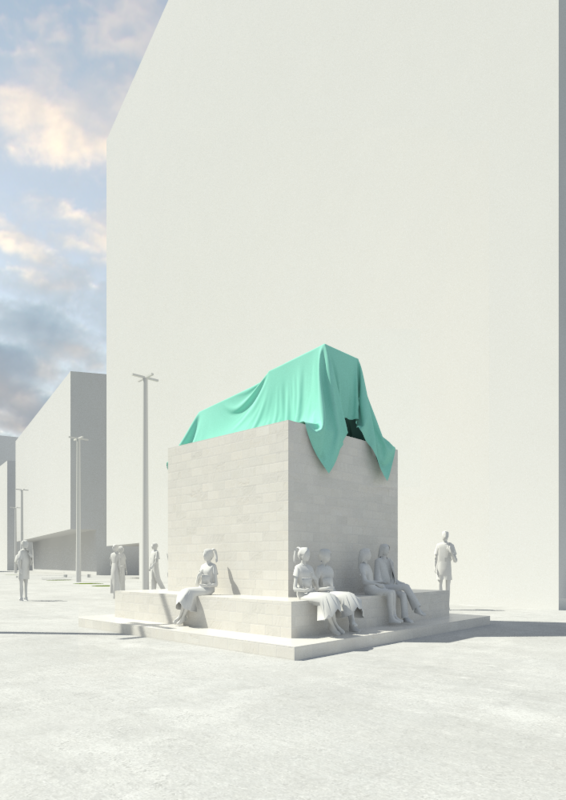 Proposals were offered as preliminary ideas and explorations that responded to local level, context-specific observations. Image by Lara Pannuzzo. Proposal exploring how some quieter tertiary streets could be transitioned towards greater bicycle, pedestrian, recreational and outdoor community uses. Image by Radoslaw Buczek. 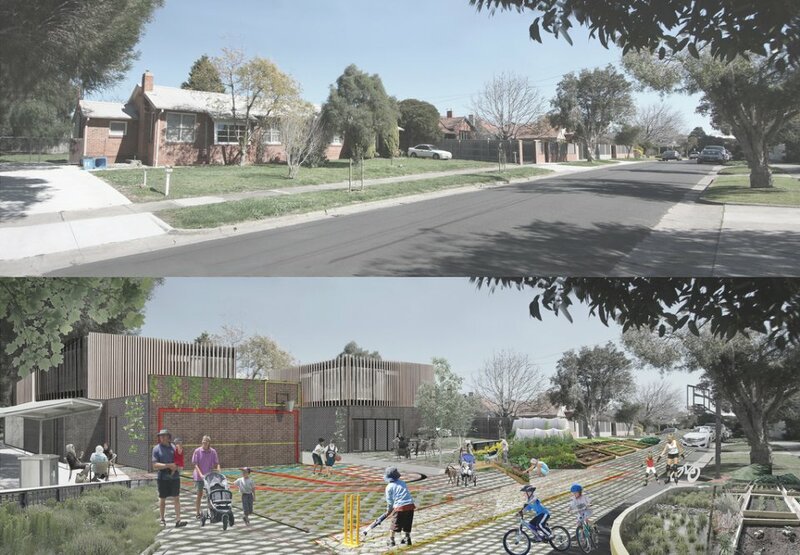 This precinct design focuses on enhancing the interface between the existing neighbourhood and the large public reserve to the east of the study area. Image by MAS. 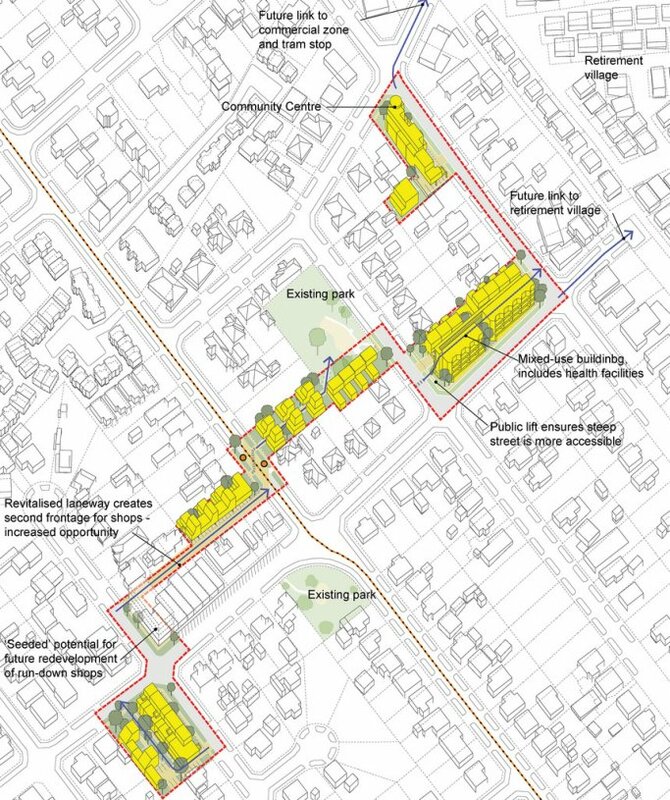 This precinct design explores intensification strategies that could ‘seed’ the redevelopment of an existing strip of run-down shops which the community put forward as a key focus for renewal efforts. Image by MAS.